5kW Solar System, 7kW, or 10kW - We have Solar Power Panels Systems To Suit Every Budget! Don’t worry if you don’t know a lot about what to get. We will do our best to help but without the hype. Whether you want the best panels that money can buy, or want to spend a bit less. Here at Solar Power Panels we will help to select, design and install! Choose from 2kW, 3kW, 4kW, 5kW Solar System, 6kW, 6.5kW, 6.6kW, 7kW, 8kW, 9kW and also 10kW. Solar Power Panels - So what size system do you need? We'll do a quick quote to give you an idea of what a deal will cost. We can give a firm quote but there is a short list of things we need to know first. Like, how much is your power bill now, and also do you want a battery one day? What sort of roof do you have, and also is your home two storey? Is your home on single or in fact on three phase power? Do you want to pay cash or then maybe on terms? There will be a few more questions but we'll work them out in due course. Most systems we install now are 6kW, so we don’t see many small 1-3kW kits. But there are times where there is no room to put more panels. The price of panels has gone down a fair bit, so a lot more can buy them. But the cost of small systems has not gone down as much when shown side by side. But if you want a battery too, a big PV setup might be best. So to have more power might be good to charge it, or sell back to the Grid. A 4kW system in SE QLD makes around 26 kWh’s per day. Like 1-3kW systems, we do not see many 4kW’s now, and it is when roof space is tight. So if this is the case, you can use high output panels. The price of these panels has dropped so you can make the most of what you have. Well maybe power prices don’t rise much, the pain is still worth it. So the good news is that there are a lot of great 300W modules you can get. In fact the Longi Mono PERC 300 is a good one to look at. But there are others that are just as good too. These are great for tight roofs, so you can get the max from what you have for less. In order to find out what works best, let us know and we'll do a quote. Of course you can buy on terms too if you wish. A 5kW system in SE QLD makes around 26 kWh’s per day. Until of late, a 5kW was the most common size in solar PV. But, as prices fell, 6kW systems took over. So for a few dollars more, you could get a lot more kit. And it’s good to add more then if there is a battery one day. Check your power bill then see how much you can save. 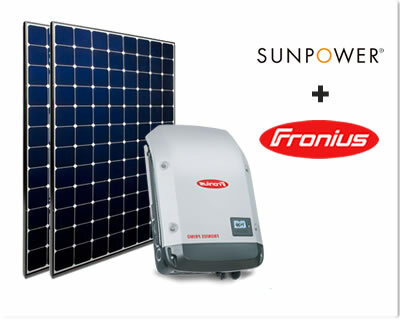 Well, a 5kW may still be right for you, so make sure to check out our Package Deals to see? Of course you will find some great 5kW deals here, just contact us for a firm quote. And you can also buy on terms too, just ask us. A 6kW system in SE QLD makes around 26 kWh’s per day. A 6kW solar PV kit is now the most common, but why is that? Well, its not just that you pay a bit more so as to get a larger kit. Yes, of course but you do make more power to use or sell back to the Grid. It’s a good idea if you do want to put on some storage one day. So you will be able to charge that with it too. But it’s still wise to be ready for that day. To add more panels later may not be best due to the cost. A 6.5kW solar power system in SE QLD makes around 29 kWh’s per day. 6.6kW (6.65) is in fact as big as you can go on one phase. If you want to put up more panels then you have to get the OK from Energex. You may not know this but a PV kit such as a 6.6kW uses a 5kW inverter. Of course to add more panels means there are more watts. As a result the output from the PV kit is in all, a lot more. So this is why we say to put up as many panels as you can. So you might feel now, that you don't need the extra power. And one day if you have a battery then those spare watts will be used. 7kW , 8kW, 9kW, 10kW - So your own solar farm! So YES, you can put up a 7kW or bigger! 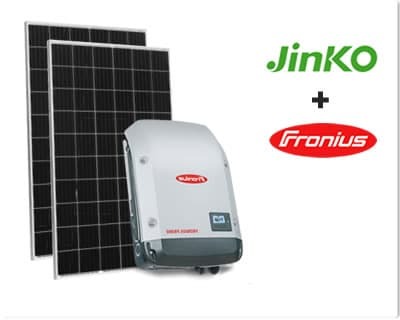 If there is room and Energex say OK, then you can put up a PV kit past a 6.65 kW. This is more than the threshold set down for a 'normal' PV kit. So you must get the nod first to go ahead, and this can take up to 8 weeks. Then we can plan and work out the best way to go, to get the most value. We can do large single and also three phase PV systems. All in all, there is a plan for your own power house for you too. Call us so we can show you how fast a "big rig" can pay itself down.